Celebrities live their lives in a constant public spotlight, and many seem to be plagued by perpetual, intense stress in their lives. How they handle it may vary widely, but there is always a continuous stream of reports about celebrities turning to drugs. Most recently, it has been speculated that Lamar Odom’s marital difficulties with Khloe Kardashian have been caused by his abuse of crack cocaine for over two years. While he reportedly went to rehab for three weeks and discontinued his use of crack prior to his last basketball season, Lamar apparently picked up where he left off as soon as the season was over, and refused to return to rehab for help. And while Lamar is not the only person who has engaged in this use, reports on drugs trends have indicated that crack cocaine use is down. Is this drug making a comeback? Cocaine, a highly addictive stimulant drug in powder form, was introduced to America in the 1880’s as a surgical anesthetic. Shortly thereafter it became a household drug, and then an ingredient in Coca-Cola and a variety of wines. Snorting cocaine for euphoric highs became popular in the early 1900’s, and has steadily increased in use over the subsequent century, with a marked boom in the 1970’s. It was during this boom in usage that crack cocaine was born. 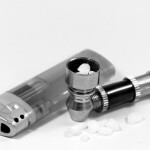 Crack is cocaine that has been processed with either baking soda or ammonia, causing it to become a yellowish-whitish hard rock that is smokable and more potent than the powdered cocaine. It is also riskier than powdered cocaine, because smoking crack allows it to reach the user’s brain much more quickly than through inhalation. The intense, euphoric high that is caused by crack cocaine is often immediate, and can last anywhere from 5 to 15 minutes. Normally, repeated use of crack can cause the resultant highs to be shorter in duration. Cocaine and crack cocaine affect the central nervous system, causing excess amounts of dopamine in the brain. Since dopamine is a neurotransmitter released during moments of pleasure and movement, it is the increase in dopamine through cocaine use that causes the feelings of intense euphoric pleasure. 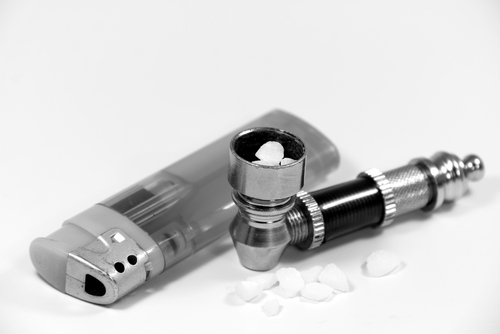 It is also the reason why immediately after a cocaine high subsides, the user experiences the cravings of addiction and desires another hit. Some of the side effects of cocaine and crack cocaine include decreased appetite, anxiety, paranoia, aggressive behavior, depression, irritability, reproductive damage and infertility, psychosis, heart attack, stroke and death. Over time, crack users can develop a tolerance of the drug, and can therefore need more of the substance in order to obtain the high they desire, which in turn increases the risk of more serious side effects. Furthermore, since withdrawing from crack use can cause a new disruption of the body’s dopamine levels and heighten the undesirable side effects of the drug, many crack users will continue to use the drug simply to keep the withdrawal symptoms at bay. With all of the above in mind, it appears that crack isn’t “back”, but has been a persistent part of American drug use for over thirty years, and Lamar Odom may be another of its many victims.